Phone DPD customer services by calling their UK contact number 0121 275 0500 for general enquiries about their delivery services and to track a package. If you won’t be in when they are due to deliver your parcel you can call this helpline to either rearrange the date or request that they leave your items in a safe place with a trusted neighbour. Similarly if you have forgotten your DPD tracking number you can call this helpline to get a reminder so that you can use their online tracking service to get updates on your delivery. Furthermore if you have forgotten your “my DPD” online account details such as your username or password then you can call their friendly customer care staff to get a reminder so you can access their services. You should also phone this helpline to book a delivery through their Interlink sister service. Finally if you would like to find your nearest DPD Pickup Shop where you can collect your deliveries at a cheaper price you can do so by calling their personable team of advisors. Calls to DPD’s customer service phone number 0121 275 0500 are charged at the same rate as calls to other local geographic 01 and 02 numbers despite the fact that it is operated by a business rather than a private individual. Therefore these will be charged at a variable per minute rate which depends on when exactly you make the call as well as a connection fee which is set by your provider. However if you have free inclusive minutes as part of your landline or mobile tariff you will be able to call DPD for free, although you should confirm this with your particular operator before phoning the parcel delivery firm. Contact DPD to get their price rates for sending packages of any given size by calling their sales phone number 0121 336 4900, where you can also make an order for stationary including the parcel labels which you require to send a parcel with them. If you are a business customer you can also call this local-rate helpline to get a quote for your regular deliveries as they offer specialist packages and services for commercial outlets. There are a number of ways in which you can contact DPD if you would prefer not to call their telephone helplines including via their email addresses, local depots and their official social media pages. As you’d expect from such a popular postal company you can also get in touch with them by sending a letter. Please use DPD’s head office postal address provided below if you would like to send them a letter, however please be aware that this will almost certainly be slower than contacting them over the phone and that you shouldn’t include any payment information in your letter as this increases the risk of fraudsters accessing your details. If you would prefer to email DPD you should fill out an online general enquiries form from their UK website and they will then either call you back or send an email to your desired address to answer your queries. 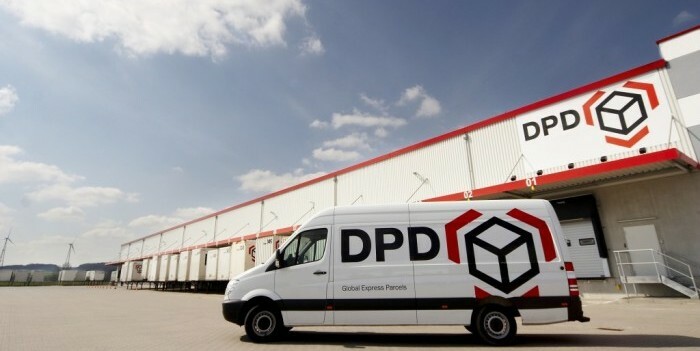 You can locate your nearest depot by using the DPD local depot finder in order to recieve an update on the progress of a package and to pick up your parcel if you weren’t in at the time it was due to be delivered.